Mix the mince with all the other ingredients up to and including the pepper, knead well by hand until the ingredients have combined to form a compact mass. Make several diagonal scores in the lemongrass using a sharp knife. Push one quarter of the mixture onto each stick of lemongrass, leaving the upper quarter of the stick free. Grill over/on a very high heat for approx. 10 mins. all over. In a bowl, mix the lettuce with all the other ingredients up to and including the sweet chilli sauce. Cut open the baguettes lengthwise but do not slice all the way through, spread the cut sides with sesame oil, place cut side down and grill over/on a very high heat for approx. 1 min. 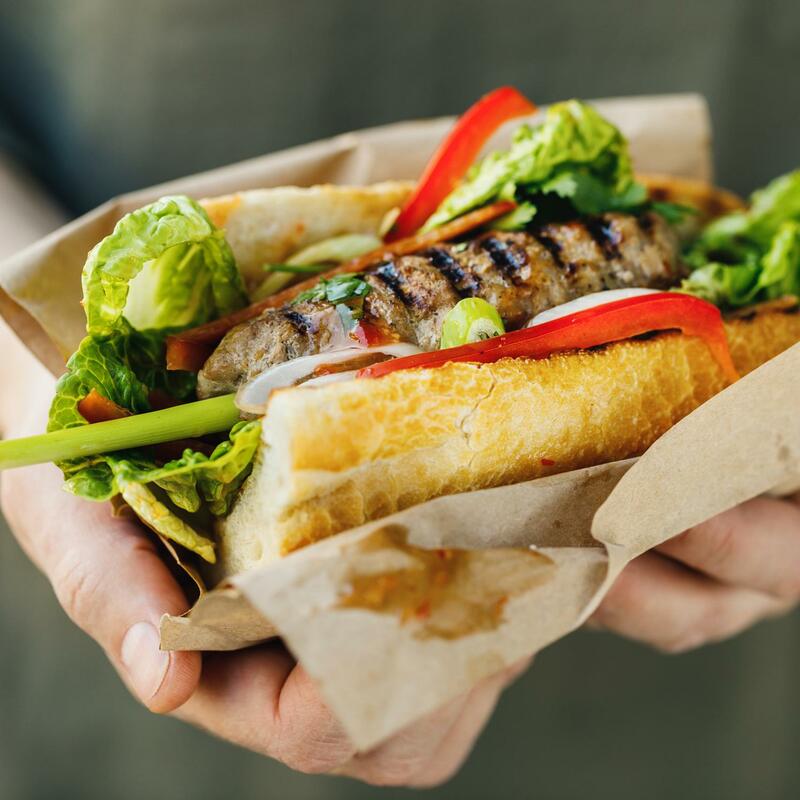 Fill the baguettes with the salad, skewered meat and coriander, drizzle with sweet chilli sauce. To eat, close the baguette and pull out the lemongrass.